Is it a bird, is it a plane… no, it's a flying car. Terrafugia is a car manufacturer that has set it sights on creating a flying vehicle and the company has released a video suggesting it is close to achieving this goal. The TF-X was first announced two years ago but progress is evidently being made, although it will remain in development for some years yet. Should Terrafugia realise its vision of releasing a flying car, it could dramatically alter the motoring world, thrusting it towards realms previously only seen in science fiction blockbusters. 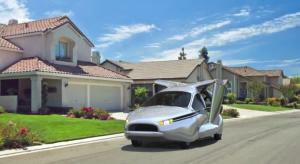 Among the countless changes that would have to be implemented to enable flying cars to truly take off is the changes it would require to car dealers' motor trade insurance policy; specifically, road risks insurance might need to adapt to cover air risks insurance so dealers are covered while taking the flying cars for a spin. These changes are still some distance away though – Terrafugia says the revolutionary vehicle is between eight and 12 years from release. Originally conceptualised by MIT aeronautics and management graduates back in 2006, the TF-X, as it is now known, is expected to go on the market for $400,000 when it is available for sale. Along with a video showing the latest advances in the design stage, the company released a statement revealing: "The model will be tested at the MIT Wright Brothers wind tunnel, the same tunnel that was used to test models of Terrafugia's Transition. The wind tunnel test model will be used to measure drag, lift and thrust forces while simulating hovering flight, transitioning to forward flight and full forward flight."